So there they are. Shoes I’ve been wanting to buy for such a long time. 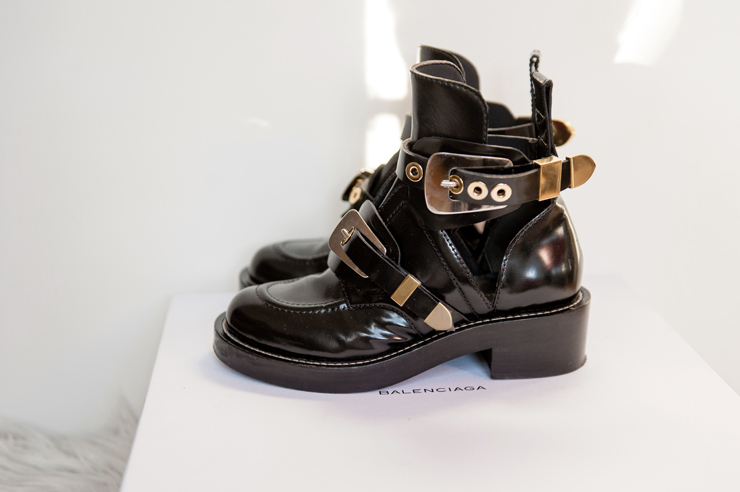 There’s probably no person who owned these Balenciaga boots and complained about something. Comfortable, black & easy to fit, shape legs and just make the look complete. It wasn’t easy to catch them. They were sold out in all stores around the world. I was trying to find them in Balenciaga stores in Paris, London and Rome, unfortunatelly without luck. Finally Matches got a new delivery a week ago, which was gone faster then it came. So yeah, you know which shoes I’ll be wearing for the next few months. I’m still dying to have to shoes. I’m so in love with them! These are definetely the best shoes I own! Even though they’re the most painfull at the beggining, it’s so worth it!! kojarzą mi się z ciężkimi butami z lat 90, coraz badziej podoba mi się nawiązywanie o tego okresu w modzie. Omg. I’m extremely jealous!!! So happy for you. I’ve been wanting to get a pair as well but I can’t afford such. Oh well! congrats on managing to get a pair! 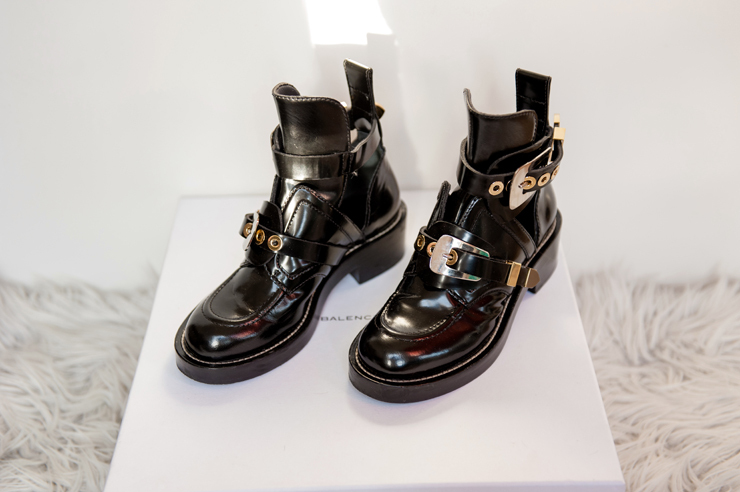 these boots are so epic!! !